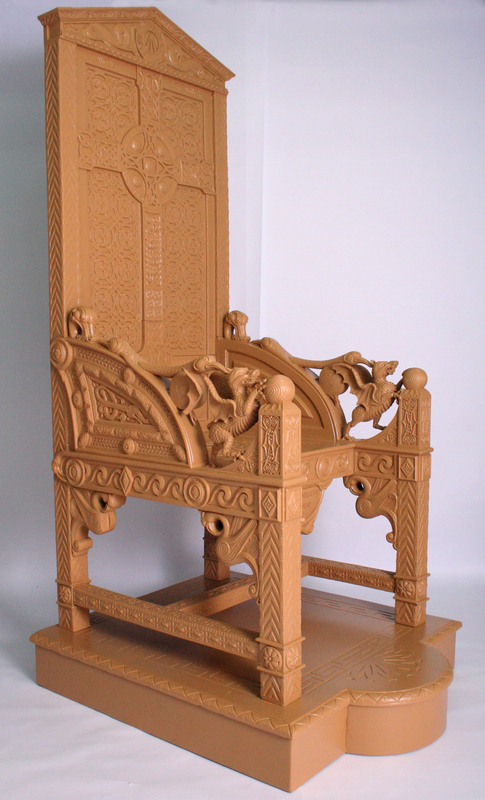 A striking 6ft, 3D printed replica of Welsh poet Hedd Wyn’s original Gadair Ddu (Black Chair) will today be unveiled by First Minister of Wales, Carwyn Jones. Hedd Wyn was awarded the chair for his poem Yr Arwr (The Hero) at the National Eisteddfod in Birkenhead in 1917, six weeks after he died fighting in the First World War. 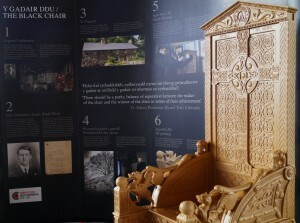 The chair, awarded posthumously, was famously draped in black during the chairing ceremony, which has led to its distinct name. 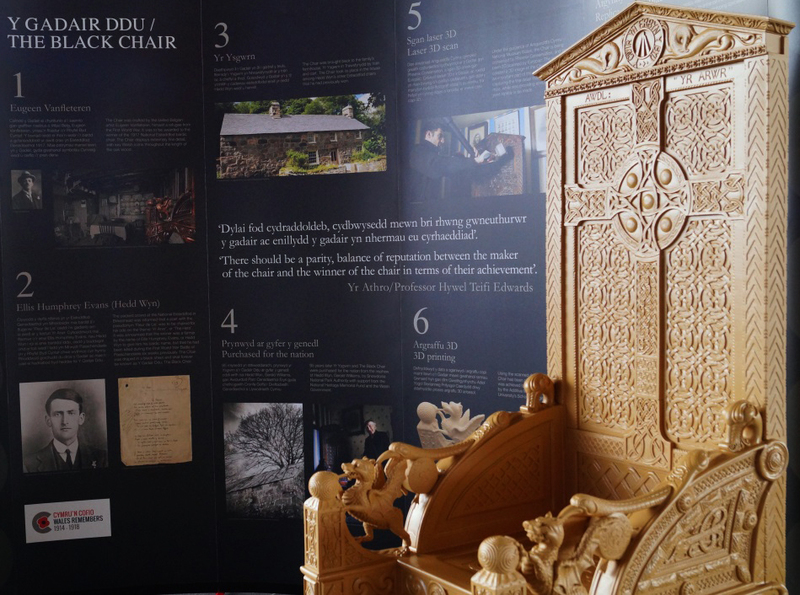 The Welsh Government has funded a partnership of Cardiff University, National Museum Wales and the Snowdonia National Park Authority via CyMAL, to use the latest 3D printing technology to create a full size replica of the Gadair Ddu. 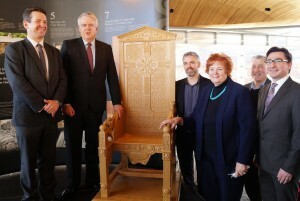 The chair will remain on display at the Senedd until the end of March, when it will then be used to interpret the story of Wales and the First World War. Speaking ahead of the unveiling First Minister Carwyn Jones said: “Hedd Wyn is one of Wales’ most celebrated and influential poets. “As we commemorate one hundred years since the outbreak of the First World War, the Gadair Ddu has become a symbol of the devastating impact the Great War had on communities and families across Wales, many of who lost fathers, brothers, uncles and sons to the conflict. “This is true of Hedd Wyn, whose tragic death on the battlefield in Flanders in 1917 meant he could never claim his Eisteddfod chair, now known as the Black Chair. He said, “Since the mid-1990s the Additive Manufacturing Laboratories at Cardiff University School of Engineering have generated a fantastic research and development reputation in what is now often referred to as 3D printing technologies working on components going into space with the Ariane rocket family, on the F1 race track, as well as for deep-sea submarine applications”.